In other News One of our Facebook Sources said : The man in FSARS was a member of a kidnapping syndicate that kidnapped one Azumana Ifeanyi from his residence at Oroazi Road PHC . 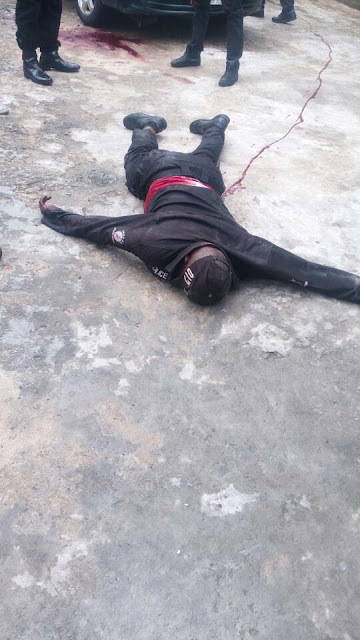 They forced him to a Toyota Camry car to a near by Bank at GRA PHC to withdraw 500k or he will be killed. The IGP team intercepted the gang. 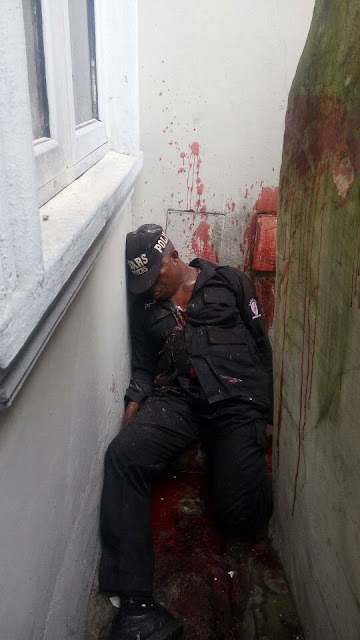 Inspector Justice Inyeche of IGP team introduced himself, one of the robbers opened fire on the inspector on his arm which almost cut off. 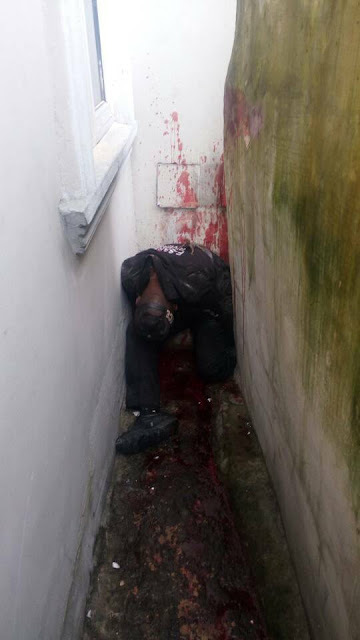 The team members responded and killed one of the robbers as seen in the photos. One AK rifle was recovered. The inspector is currently receiving treatment at Military hospital PHC.